April 15th is the annual deadline for most people to file their federal income tax return and pay any taxes they owe. But what happens if you can’t file on time? What happens if you file your return after the due date? If you were owed a refund, can you still receive it? This post will answer all of the above questions and then some. Annual Due Date For Filing Return. Everyone is pretty familiar with the date of April 15th here in the US. This is “Tax Day” or the date that most people are required to file their Form 1040 U.S. Individual Income Tax Return. While this date may move slightly from year to year (due to local holidays) note that it is actually mandated by law. 26 U.S. Code § 6072 actually stipulates the due dates for individual and corporate tax returns. Can’t File By Due Date? By law, the IRS may assess penalties to taxpayers for both failing to file a tax return and for failing to pay taxes they owe by the deadline. Now, one way to avoid the late filing penalties is to file an extension. Filing Form 4868 Application for Automatic Extension of Time To File U.S. Individual Income Tax Return, will give you an extra 6 months for you to file your return and have it be considered on time. Now, if you owe money, that is still due on April 15th. If you fail to make a payment by then, you will still be subject to the late payment penalties noted above. You have a refund and are NOT subject to any penalties, but the clock is now ticking for you to claim your refund or lose it. 3 Year Deadline To Claim Refund 26 U.S. Code § 6511 outlines that a taxpayer basically has 3 years from the time the return was filed or 2 years from the time the tax was paid, whichever of such periods expires the later, to claim their refund. So while you won’t pay any penalties for late filing a return in which you were owed a refund, know that you generally only have 3 years to claim it. What happens if you don’t file by then? Well, that refund becomes the property of the US Government and you lose it forever! What If You Don’t File Voluntarily If you fail to file file a tax return, the IRS may file a substitute return for you. This return might not give you credit for deductions and exemptions you may be entitled to receive. The return the IRS prepares for you will lead to a tax bill, which if unpaid, will trigger the collection process. This can include such actions as a levy on your wages or bank account or the filing of a notice of federal tax lien. 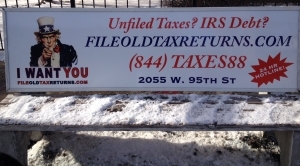 Need Help Filing Your Past Due Return? For filing help, you can call the IRS at 1-800-829-1040 They can help you obtain wage and income information to help prepare a past due return. If you don’t want to speak to anyone at the IRS, you can obtain your transcripts electronically by using the IRS’ Get Transcript tool to request a return or account transcript. You can also get tax forms and instructions to file your past due return by calling 1-800-Tax-Form (1-800-829-3676). Now, if you would rather avoid all of the above and have a service file your tax returns for you, we’d be more than happy to help. Just go to this page to get started and you can be filed in as little as 24 hours! That was easy – for some! Many of our current year clients begin to get a little worried when their tax refund doesn’t come as quickly as they expect. They often call us and ask us “Where’s my refund?” To that question we usually reply that it can take anywhere between 7-21 days for one to receive their money. If they have any concerns, they can continue to check the status of their refund’s processing via the IRS’ or states website. Out in cyberspace, the various state tools are housed on each individual site. This post aggregates them into one place for all to search. So no matter if you filed in one, two or nine states, you now have a place where you can check them all via the links provided! Locate your state below and click on its name to be taken to the applicable “Where’s My Refund” site. If you need further assistance, the name of the appropriate taxing authority and their general phone number is listed. We recommend that you have a copy of your return(s) handy when you visit the appropriate site as it will often want to verify things such as SSN, filing status, refund amount or Adjusted Gross Income (AGI). Note that you will not find any links for the states of Alaska, Florida, Nevada, New Hampshire, South Dakota, Tennessee, Texas, Washington, and Wyoming. Why? These nine states don’t have an income tax! 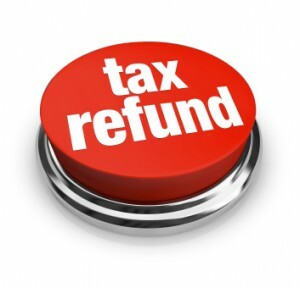 IRS “Where’s My Refund?” Use this link to check on the status of your Federal income tax refund. If you need to speak to someone, feel free to call 1-800-829-1040. Connecticut State of Connecticut Department of Revenue Services: 1-860-297-5962. Delaware Delaware Department of Finance – Division of Revenue: 1-302-577-8200. Georgia Georgia Department of Revenue: 1-877-423-6711 option #2. Hawaii Hawaii Department of Taxation: 1-800-222-3229. Iowa Iowa Department of Revenue: 1-515-281-4966. Maryland Comptroller of Maryland Revenue: 1-410-260-7701 or 1-800-218-8160. New Mexico New Mexico Taxation and Revenue Department: 1-505-827-0827. North Dakota North Dakota Office of State Tax Commissioner: 1-701-328-1242. Rhode Island State of Rhode Island Division of Taxation: 1-401-574-8829, option #3. Vermont Vermont Department of Taxes: 1-866-828-2865. Wisconsin Wisconsin Department of Revenue: 1-866-947-7363. In 2014 the IRS spent $11.6 billion and employed just over 84,000 to collect more than $3.1 trillion in tax revenue. Of those 84,000 personnel, over 18,000 are directly involved in enforced collections against taxpayers that owe back taxes. In 2013 the IRS spent $11.6 billion to collect $2.8 trillion in tax revenue, using just under 87,000 employees, of which 19,000 were involved in enforced collections. In 2014 the IRS began with 11.7 million delinquent accounts (unfiled returns). 7.6 million new cases were added to inventory while only 6.9 million were closed. This put the ending inventory at 12.4 million returns. In 2013 the IRS saw 7.7 million new cases added to inventory but they were able to close 7.5 million. In 2013 there were 145.2 million individual tax returns filed, of which 1.2 million were selected for review (audit) in 2014. Thus the effective audit rate was 0.9%. Of those returns examined, the IRS proposed changes in 87% of them with an associated $11.8 billion increase in taxes owed. For the returns that were reviewed in 2013, the audit rate was 1%, the IRS proposed changes in 89% of what it reviewed with an associated tax increase of $14 billion. In 2014 the IRS filed 535 million Federal tax liens against taxpayers. This was a 11% decline when compared to 2013. Likewise, 432,000 seizures were conducted, which was down 21% from the prior year. However, 1.9 billion levy notices were filed against taxpayers which was a 7.6% increase over 2013. In 2014 the IRS received 68,000 offers where taxpayers attempted to settle their tax debt for less than what was owed. Of that number, the IRS accepted 27,000, which was a 12.9% decline from what the agency accepted in 2013. We always tell our clients that while the IRS may be slow, they eventually do catch up with you. If you are facing a tax problem, please know that “hoping” it will go away is not the answer. The last thing you want is for the IRS to reach into your bank account on grocery day and take everything you’ve got in the account because you didn’t respond to the dozens of letters they sent you. Didn’t get the letter? The IRS doesn’t care because from their viewpoint, just because you didn’t get it, didn’t mean we didn’t send it! We’re always here to help you out. So if you’d like to discuss your situation or want to file any of those “delinquent” returns you’re sitting on, feel free to give us a call at the number listed in the upper right or shoot us an email to the address listed in the footer of this page. So you finally get around to filing that tax return that was due eons ago. You know, the one with the job that you worked at 5 years ago. The one where you think you were paying on your student loan. But wasn’t there also that job where you worked as a “consultant” and they just paid you money and didn’t take taxes out? Oh yeah, and then that one company that closed up shop a week after you bailed! But wait, where are all those documents showing how much you earned? It’s not uncommon when you are dealing with an “old” tax return for you to have “misplaced” some of those wage documents (e.g. Form W-2 or Form 1099-MISC). If you need to obtain them so that you can file your tax return, here are some recommendations. The best place to start with trying to obtain your W-2 is with your employer. The copy they issue you will be the same as the one they provided to the IRS. Furthermore, it will have the state details (i.e. amount of state tax withheld). This is important when compared to getting your W-2 via the next option. Every tax form that you receive from someone is typically also filed with the IRS. 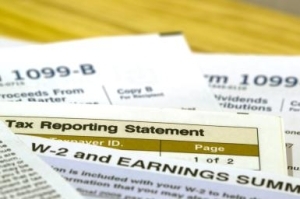 W-2s are no exception to the rule. Thus, if you can’t get a copy from your employer, the next best option is to request them from the IRS. To do this, you want to request what is known as a Wage and Income Transcript. You can do so online and get instant access or you can request that they be faxed to you by calling 1-800-829-1040 and asking for the above transcript. The main downfall of an IRS transcript is that it will NOT have the state income tax withheld. Thus, if you are trying to file your Federal and State Income Tax Returns, you’ll probably want to go the first route. Sometimes you are trying to file your return for the current year OR the W-2 isn’t available via transcript just yet. 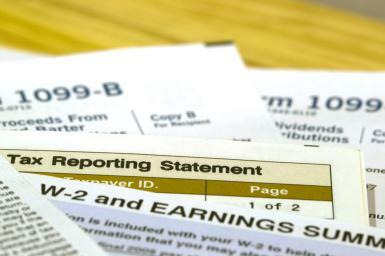 In these instances file Form 4852, Substitute for Form W-2 Wage and Tax Statement, in place of the W-2. Use your last paystub to estimate your income and withholding taxes as accurately as possible. 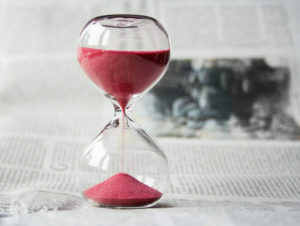 Just be aware that the IRS may delay processing your return while it verifies your information. 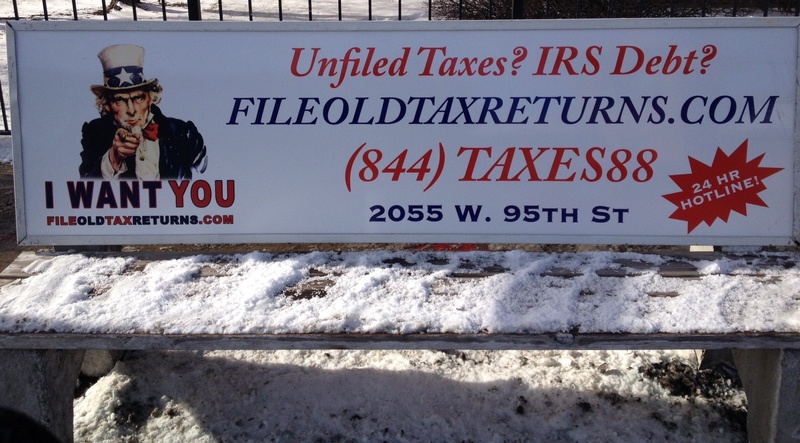 If you need help in obtaining your W-2s or a transcript, feel free to give us a call or shoot us an email. Also feel free to check out this page to see the many other ways we can assist you. Tax bracket limits have shifted higher for 2012 and A COLA of just over 3.8% for 2012 leaves federal tax brackets looking like the ones found in this post. Personal & dependent exemptions are each worth $100 more. In 2012, the value of each personal and dependent exemption has increased $100 to $3,800. Standard deductions are up across the board, increasing from $150 -$300. There has been a $500 boost in the annual contributions on limit to 401(k)s and certain other qualified retirement plans. With the $500 2012 COLA, participants in 401(k) plans, 403(b) plans, some 457 plans and the federal Government’s Thrift Savings Plan can contribute up to $17,000 to their accounts this year. The catch-up contribution limit for plan participants 50 and older remains at $5,500. These phase-out ranges are up by $4,000 for married couples filing jointly and $3,000 for singles and Heads of household compared to 2011. Married individuals filing separate returns who are covered by a Retirement plan at work see no change here – the phase-out range for that category remains $0-$10,000. Phase-outs kick in at slightly higher Modified Adjusted Gross Income levels for the Lifetime Learning Credit (LLC) and for the deduction for interest paid on student loans. The maximum above-the-line deduction for interest paid on student loans is $2,500 in 2012. This year, the phase-out range has been set $5,000 higher for joint filers only. For single filers, the phase-out range is unchanged. Kiddie Tax. The exemption for an under-age-19 child subject to the kiddie tax is currently $6,800, and the net unearned income not subject to the kiddie tax is still $1,900 in 2012. The payroll tax holiday has been extended for the entire year. In 2012, the employee portion of Social Security tax is set at 4.2% and self-employed Social Security tax is set at 10.4%. The Social Security taxable wage base increases to $110,100 for 2012. 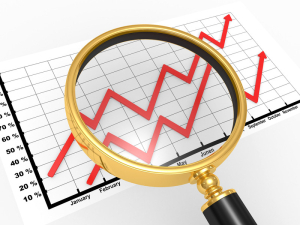 Compensation limits pertaining to qualified retirement plans have risen. In 2012, the maximum compensation used to determine contributions to qualified retirement plans is $250,000, up from $245,000 in 2011. The highly compensated employee threshold is now $115,000 rather than $110,000. The maximum compensation defining a key employee in a top-heavy plan is $165,000 in 2012, up from $160,000 last year. The maximum annual addition for a defined contribution plan is up $1,000 this year to $50,000. 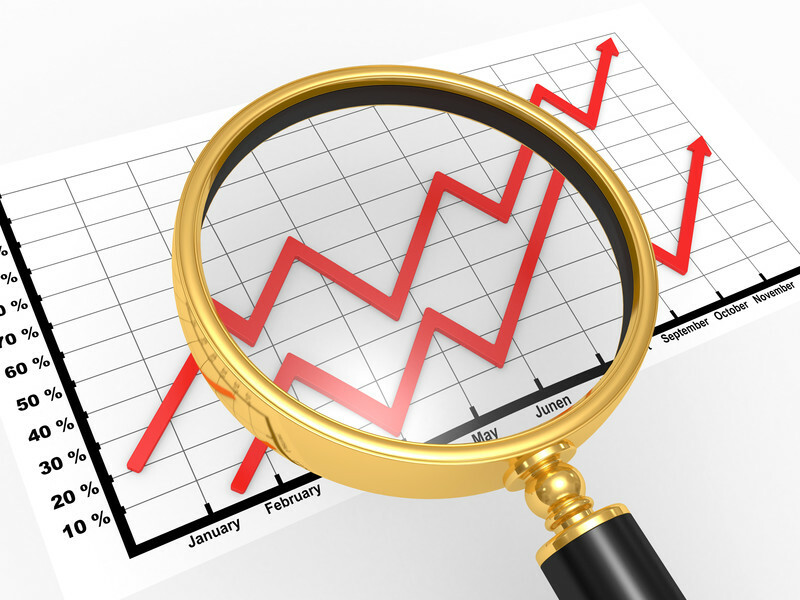 The maximum annual benefit for a defined benefit plan is up $5,000 for 2012 to $200,000. Two standard mileage rates change this year. In 2012, the standard mileage rate for business mileage remains at $0.555 per mile. The rate for medical and moving mileage decreases to $0.23 a mile. The rate for charitable mileage remains at $0.14 a mile. The Section 179 business equipment deduction has plummeted. In 2011, this deduction on was $500,000 with phase-outs starting at $2 million. This year, the deduction is but $139,000 with the phase-outs coming at $560,000. IRS tax breaks for commuting have been adjusted this year. The qualified parking deduction is $240 a month in 2012, up from $230 a month in 2011. The deduction for transit passes & carpooling/vanpooling is now limited to $125 per month. Last year, it was $230 per month. The “nanny tax” exemption amount is now $1,800. That is an increase from $1,700 in 2011. If you pay a maid, au pair, or other domestic employee more than $1,800 this year, you are defined as an employer by the IRS. You are looking at the “nanny tax” and you should read IRS Publication 926 (the Household Employer’s Tax Guide) and consult your tax advisor. If your nanny, maid or domestic employee was actually your spouse or your parent, a child of yours younger than 21, or a minor whose principal occupation is not domestic employment, you aren’t subject to such taxes even if you pay that person more than $1,800 for their services in 2012. The lifetime gift tax exclusion has been raised to $5.12 million. As the lifetime gift and estate tax exemptions are unified, COLAs that happen to one happen to the other. Hence the increase for 2012. The earnings limits for Social Security recipients younger than the full retirement age have risen slightly. The earnings limit for workers younger than full retirement age (which is age 66 if you were born in the period from 1943-1954) is $14,640, a $480 increase from 2011. The Social Security Administration (SSA) will deduct $1 from your benefits for each $2 you earn past $14,640. The earnings limit for workers turning 66 in 2012 will be $38,880, up $1,200 from last year. The SSA will deduct $1 from your benefits for each $3 earned over $38,880 until the month that you turn age 66. There is no limit on earnings for workers who will be full retirement age or older for all of 2012. As for being taxed on your Social Security benefits, you can figure out if you might be subject to such taxes by using the Social Security Benefits Worksheet in the instruction booklets for IRS Form 1040 and Form IRS Publication 915. EITC exemption amounts have risen. In 2012, the federal earned income tax credit (EITC) for low- and moderate-income workers and working families maxes out at $5,891 (a $140 boost). The maximum income limit to qualify for the EITC is $50,270 for 2012, up from $49,078 in 2011. Joint filers with three or more qualifying children will get the maximum EITC. Charitable IRA gifts. Non-profits and colleges loved them, and they were useful to wealthy IRA owners over age 70½ with charitable inclinations – with a trustee-to-trustee transfer, the IRA owner could reduce his or her total income and possibly income tax with a gift of up to $100,000. Some members of Congress would like to make the charitable IRA rollover a permanent option. For 2012, it isn’t available. Residential energy credit. The $500 lifetime credit allowed on 10% of the cost of qualified purchases of energy-efficient home improvement materials and services are now extinct. Educator expenses deduction. In 2011, a classroom educator could deduct up to $250 of the cost of school supplies used in class. No more. State sales tax deduction. It was nice to have the choice of whether to deduct state sales tax or state income tax; for 2012, the choice is gone (in states applicable).